A special box if you're crazy about "Ch'tou"! A soft toffee with Lambig (Breton apple brandy) in a dark chocolate shell. A real Breton spirit in this chocolate! A special box if you\'re crazy about \"Ch\'tou\"! 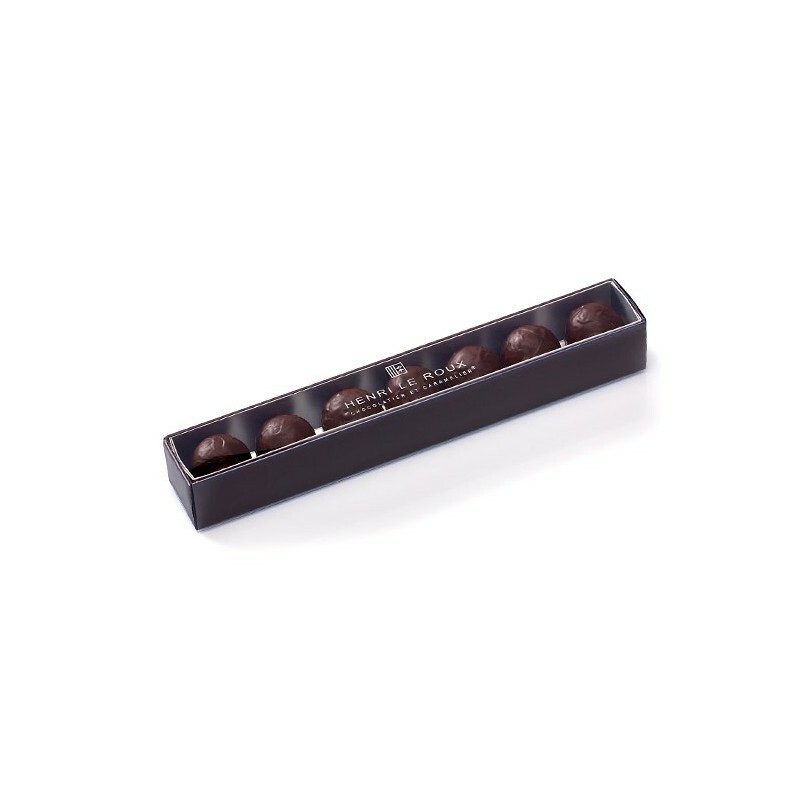 A soft toffee with Lambig (Breton apple brandy) in a dark chocolate shell. A real Breton spirit in this chocolate! 7 pieces box. Net weight: 80g. Contains alcohol. Ingredients: dark chocolate (cocoa beans, sugar, cocoa butter, emulsifier: SOJA lecithin, natural vanilla extract), sugar, CREAM, glucose syrup, BUTTER, alcohol: apple brandy from Brittany 7.75%.